We are a family run business and have been established for over 19 years. All our staff are fully qualified to the highest standards and have combined experience of floristry of over 50 years. We supply a comprehensive range of beautiful floral displays, for all occasions, to the highest standards, from classic to contemporary, in a wide range of colours. 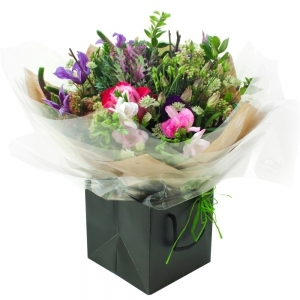 Hollyhocks has grown to become a truly recognised and renowned florist. A skilled team of florists work hard to retain the reputation achieved whilst introducing fresh ideas and personal touches. All our flowers and plants are delivered daily ensuring we always have the freshest and highest quality produce in stock. If you are looking for some flowers in particular and we don't have them in the shop we are always happy to order them in and can normally get them within a couple of days. We usually find that a customer knows exactly what they want and we can create what they have in mind or they leave it to us to design something, a phrase we most often hear is 'just make something really nice.' 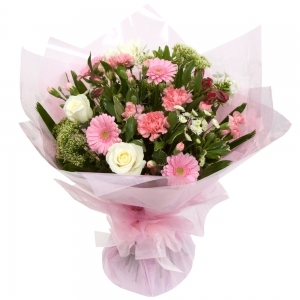 We can then personally deliver the arrangement to most areas in Sheffield and surrounding areas and nationally. Whatever you are looking for, a stunning bouquet for a celebration, a gift to welcome a new arrival or for something to express your deepest sympathy we can accommodate your needs, we have flowers for all occasions. Absolutely lovely flowers delivered on time and really well received. Booked through direct2florist. Highly recommended. Product delivered on time and exactly as ordered. We were sent a photo and the flowers are beautiful. My Gran said she loved the flowers, and they looked stunning. Beautiful birthday flowers delivered - thank you! Ordered at 8.45 flowers delivered at 11.45 absolutely brilliant service and the flowers are beaitiful. Ordered late and orchid plant delivered y 3 pm next day. It looked beautiful - great service - would highly recommend ???????? The flowers were beautiful and made my friends day! Wonderful arrangement, my girlfriend loved them!